We are delighted to announce the newest editions to the Clearwater team, Sara Davis Program Coordinator (Engagement) and Katrina Hawkins Clearwater Officer (regional Victoria). Sara Davis has joined the Clearwater team to manage the strategic direction of Clearwater’s engagement, communications, marketing and the overarching brand. Sara holds a Bachelor of Business (Marketing) and a Graduate Diploma in Social Science and has over 15 years’ experience developing marketing strategies, communications, profile building, community partnerships, customer experience and capacity building. 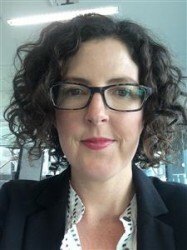 She has experience across a range of organisations on both the agency and client side, including financial services, water retailers and environmental organisations. 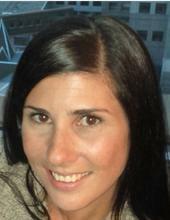 Katrina (Kat) Hawkins will be helping to deliver Clearwater's regional program. Kat studied Social Science (Environment) at RMIT and after a few years of living abroad in both the UK and Canada, she proceeded to work in local government managing environmental education and behaviour change programs. Passionate about protecting and conserving the natural environment, she made the move to Melbourne Water where she has worked for the past 5 years managing waterways for river health. A big welcome to both Sara and Kat. They are looking forward to speaking with many of you over the coming months.